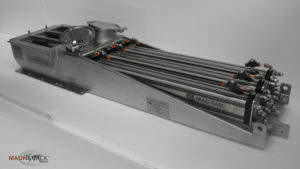 MAGNATTACK™ Global has expertise in the design, manufacture, and installation of magnetic separation equipment for metal fragment control. The company’s solutions help reduce product recalls, brand reputation damage and consumer health and safety threats. MAGNATTACK™ focuses on the pharmaceutical, food and beverage industries, including the dairy, winery, milling, pet food, and meat rendering sectors. 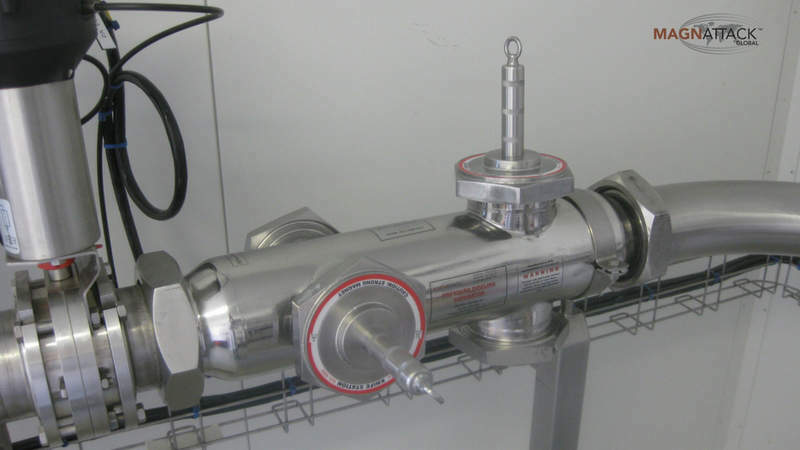 The MAGNATTACK™ RE80™ equipment range is certified by HACCP International and fully conforms to the International Food Safety Standard 0909MAGSEP 1-2010 Final Magnetic Separation Devices for Removing Ferromagnetic and Weakly Ferromagnetic Particles from Food Product Streams. Selected models have been US Department of Agriculture (USDA) Dairy Accepted. 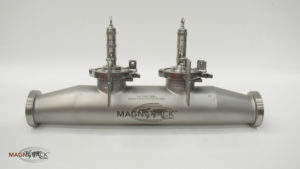 MAGNATTACK™ Global’s research and development (R&D) into magnetic separation equipment has led to the creation of its RE80™ and RE80™HT elements. These high-strength elements provide proven higher gauss strength and retention efficiency and are included in every piece of MAGNATTACK™ equipment. The recent release of the MAGNATTACK™ DURA-SLIK™ anti-abrasion technology has proven effective in reducing rapid wear and damage to magnetic separation equipment. 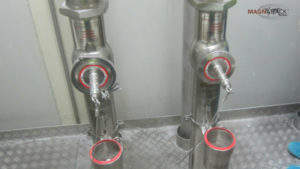 This type of wear is especially a concern in abrasive and sticky products such as grain, sugar, lactose, coffee, rice, meat meal, dry pet food and other similar foods. DURA-SLIK™ technology can be applied to grate magnets, bar magnets, magnet probes and other magnet surfaces. MAGNATTACK™ Global’s magnets are available for a wide variety of products and applications. As these often overlap, the company views each application as an individual before making a recommendation. 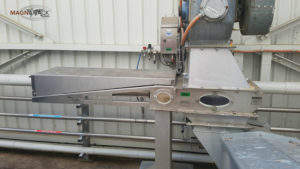 The range of MAGNATTACK™ metal separation solutions includes the MAG-RAM™ self-cleaning grate magnet, RAPIDCLEAN™ grates in housing, magnets for gravity, blowline or vacuum installations, magnets for liquid and beverage lines, magnets for pet food and meat emulsion, magnets for milling, and winery magnets. For more information on the applicable industries, services, and products, please view the product and services section of this profile or make an enquiry using the form on this page. 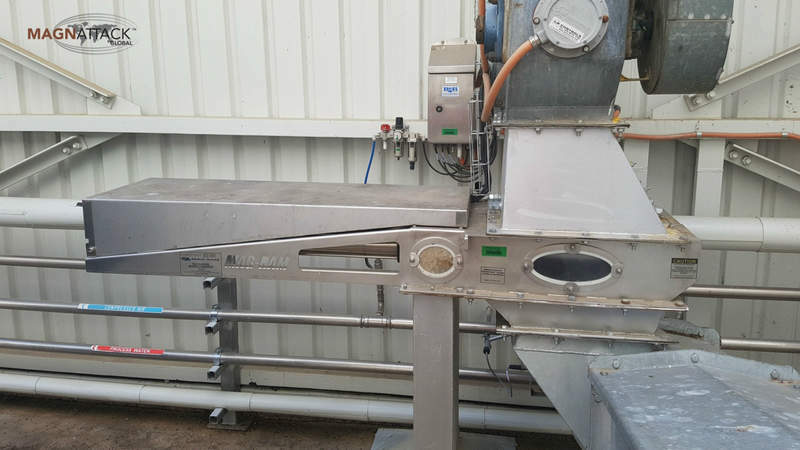 Since the manufacture of MAGNATTACK™ Global’s MAG-RAM™ Automatic Self-Cleaning Magnet in 2008, this piece of equipment has been implemented across a wide variety of applications from meat and pet food to flour, dairy products and sensitive powders. The self-cleaning feature is designed for hard-to-reach locations where it can be potentially dangerous for operators to clean. 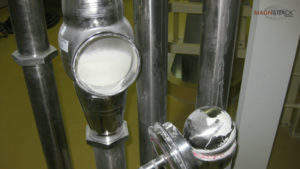 It also allows for reduced operator error and increased consistency for product lines that need constant cleaning. 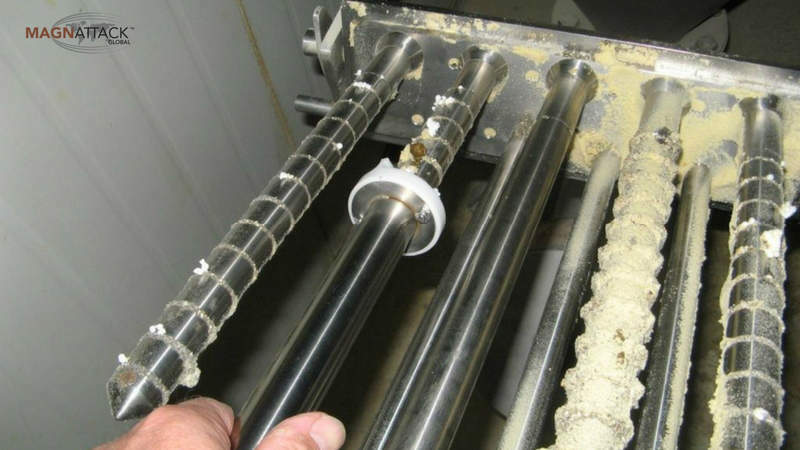 MAGNATTACK™ Global’s recent USDA Dairy Acceptance on specially designed models means the company can provide highly hygienic metal fragment control solutions in sensitive applications. 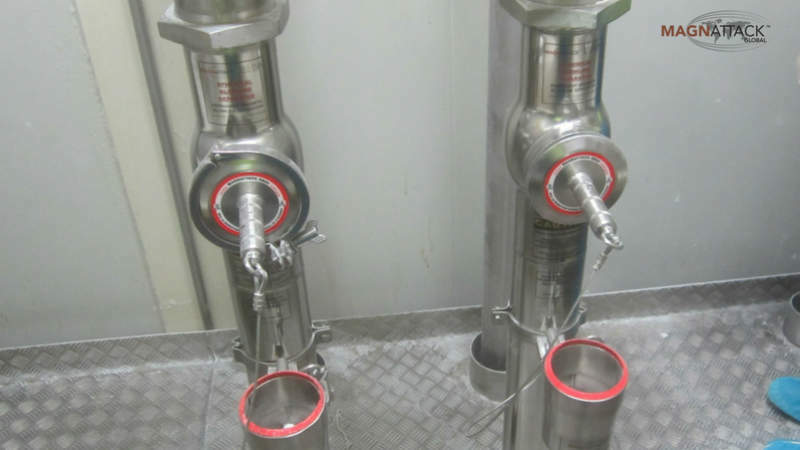 Popular installations since this approval include milk and dairy products, infant formula, dairy powders, pharmaceutical powders and other sensitive powders. Contact MAGNATTACK™ Global using the enquiry form to find the best hygienic magnet for your application. MAGNATTACK™ Global provides a consistently high level of support throughout the quoting, manufacturing and magnet-operating stages. On-site training and assistance is available through MAGNATTACK™ Global’s sales engineers and technicians, as well as through its qualified service agents in New Zealand and North America. Site manager at a Heinz manufacturing plant Rodney Cole said: “We certainly appreciate the fact that you responded so well to our concerns, that is great customer service. We would have no hesitation in purchasing further magnets for ourselves and recommending your business to others”. In addition to single applications, MAGNATTACK™ Global also offers full plant assessments in regards to metal fragment control. Magnet validations and reports are available via the fully HACCP International certified consulting agency Active Magnetics Research. CJ Nutracon’s quality assurance manager Jennie Fraser said: “Kevin and his team not only provided prompt and reliable service but proved experts in the field, possessing the technical knowledge needed to offer useful advice on the most appropriate magnet selections for our application”. For half a century, the company has been solely focused on improving product purity and quality control processes for the food industry worldwide. 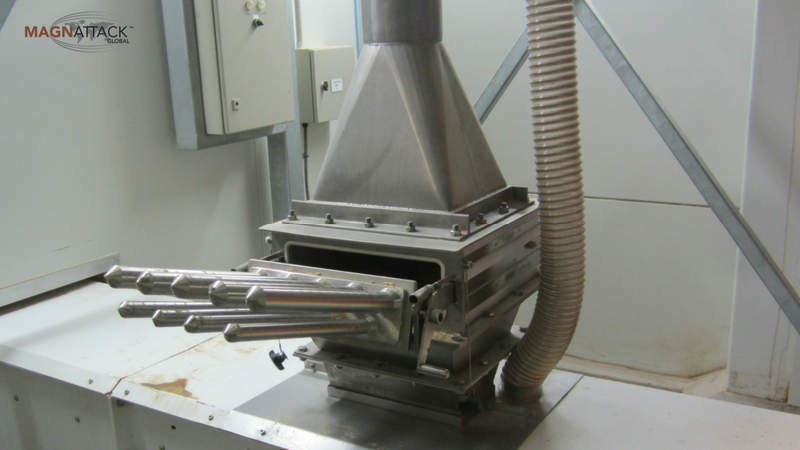 It aims to ensure processing lines and final products are free of foreign metal contaminants, which can have devastating effects on all companies and consumers involved. From chocolate to grains, sugar and meat renderings, MAGNATTACK™ Global has extensive experience in almost every food and beverage application. The company has been protecting its clients’ product purity, brand, and customers since the 1960s. It is committed to continuing this, with further R&D into new and innovative solutions to ensure product purity and prevent metal contamination. Please use the enquiry form to contact MAGNATTACK™ Global and find out the best solution for your product. The introduction of the new FSMA Act and the tightening of industry standards is forcing food manufacturers to be more proactive in reducing their food safety and product security risks. Usually measured in gauss or ounces pull, the strength of a magnet is one factor that determines the effectiveness of a magnetic separator. The RE80™ Mag-Ram™ Magnetic Separator is an automatic self-cleaning grate magnet that provides foreign metal fragment control and helps reduce risks to final product security in food processing lines. 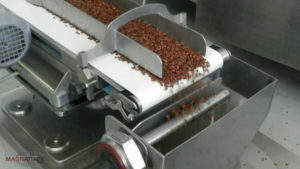 MAGNATTACK™ Global is a specialist manufacturer of all types of magnetics for the food industry. 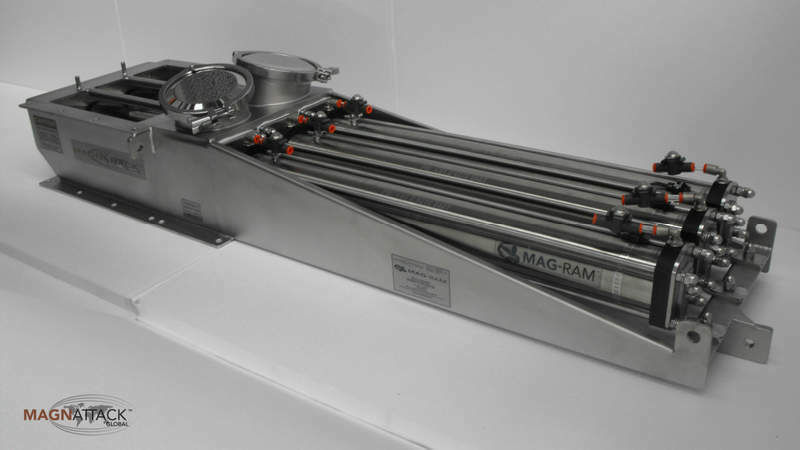 How the MAG-RAM™ Automatic Self-Cleaning Separator assists MBL Proteins with metal fragment control and gives assurance that its meat meals are of highest quality. In the past, stainless steel sleeves on the outside of magnet grates, drawers and cartridges were commonly used by the food industry. 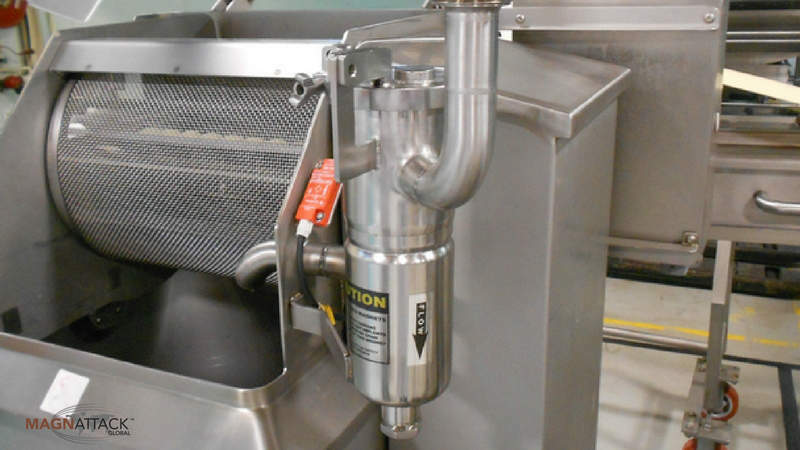 Today, while still utilised in some food processing operations, many industry professionals do not perceive them as being as sanitary or as effective as other grate magnet designs, despite their easy-cleaning operation. One of the largest risks to profitability in winemaking is damage to expensive processing equipment. Metal contaminants such as wire and vine fencing staples, and small-medium sized tools such as hammers and brackets, enter the grape receivals area and cause significant damage to downstream equipment. Magnattack™ Global has developed the new RE80™HT Magnetic Separator solution to assist pet food manufacturing companies with foreign metal fragment control. 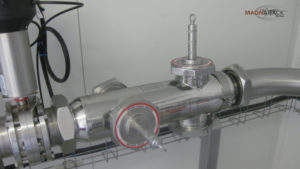 Drum Magnets are typically installed in dry, free-flowing product lines such as grain or animal feed, and are typically suited to high tonnage intakes. MAGNATTACK™ has announced that one of its North American distributors Powder Process-Solutions (PSI) will be attending the GEAPS EXCHANGE, exhibiting a range of MAGNATTACK's metal fragment control solutions. MAGNATTACK™ Global has developed, trialled, and released an advanced method to reduce rapid wear and damage to magnetic separation equipment. 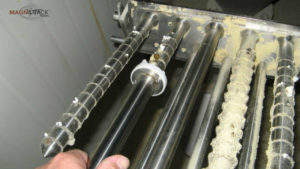 Magnets play an important role in the security of finished products and should be included in every food safety programme to assist with removing the physical hazard of magnetic metal fragments from product streams. The MAGNATTACK™ Magnet Filter Combination has been designed for use in sensitive liquid applications. Correct procedures and equipment for metal fragment control are essential to maintaining food safety initiatives and protecting your product and brands. In the meat rendering industry, tiny and sharp pieces of stainless steel spring wire are commonly found in meat-containing meals containing offal. MAGNATTACK™ Global has announced the development of a unique magnet system designed to reduce the risks of metal contamination. 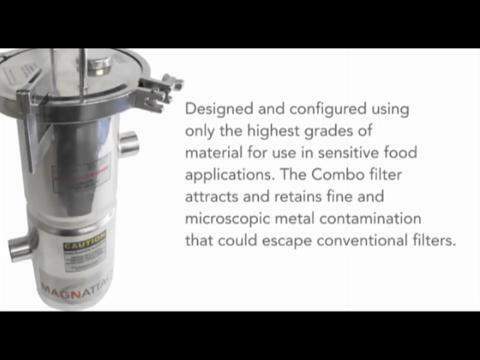 MAGNATTACK's RE80™ magnetic separators received US Department of Agriculture (USDA) acceptance in September 2015, proving sanitary standards compliance and suitability for sensitive and hygienic applications.